My colleagues laugh at me a lot at events because I&apos;m always weighed down with at least two big bags. My camera is one of the reasons. I like to be prepared to photograph or film if something interesting happens -- i.e. a DIY ombre demo, a fascinating brow guru, or this insanely easy technique to make eyes look larger using just two shades of eye shadow. So the lighting&apos;s not perfect, the focus is a bit wonky (note to self: wear the readers when filming, always), the camera work is iffy, and you hear a cel phone go off in the background (*grin*). Yet Chanel artist Julie Cusson&apos;s work is easy to grasp, and her advice is fantastic. You&apos;ll see. Since seeing Chanel makeup pro Julie Cusson in action with the look you&apos;ll see below, I haven&apos;t stopped marvelling at the simplicity and artistry in her approach. Yeah, I said artistry, and now you&apos;re worried, right? Don&apos;t be. Here, watch the video and read the re-cap. Then you, too, will posess a measure of Julie Cusson&apos;s artistry yourself. Promise. Now marvel with me: don&apos;t you just love the lightness of Julie&apos;s brushwork? 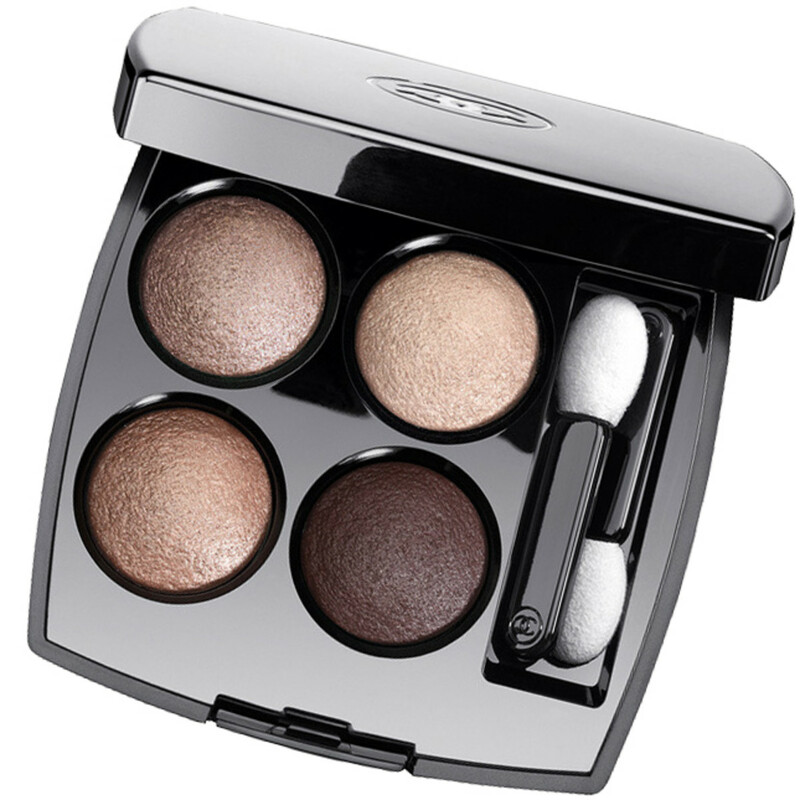 And could this softly smoky look with the Chanel Les 4 Ombres Eye Shadow palette in Rivoli be any freaking easier? And that last tip about skipping the highlight -- mind. blown. At the top of the video, Julie notes that a smoky eye is tricky for small eyes -- it&apos;s a look that tends to make small eyes look smaller. But this is a really pretty option, isn&apos;t it? No harsh edges, just a soft, smoky application that extends the length of Bree&apos;s eyes. And of course, this isn&apos;t only a look for small eyes -- you can use this technique to make eyes look larger no matter what size you&apos;re starting with. Obvi. 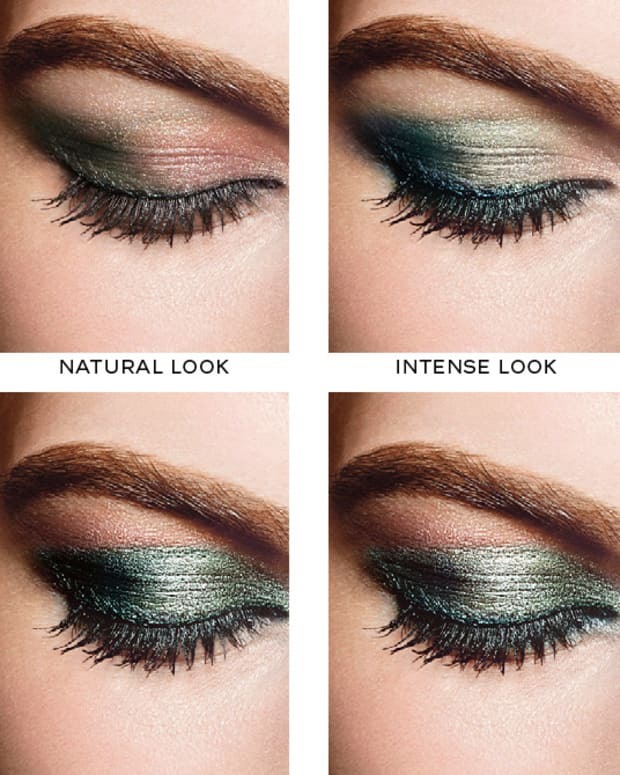 Use a damp eye shadow brush to apply the medium shade in the palette (top left) to the inner two-thirds of the mobile lid. "The damp shadow gives you more control," says Julie. Stop short of the outer corner -- you want to leave that outer quarter of the lid bare. 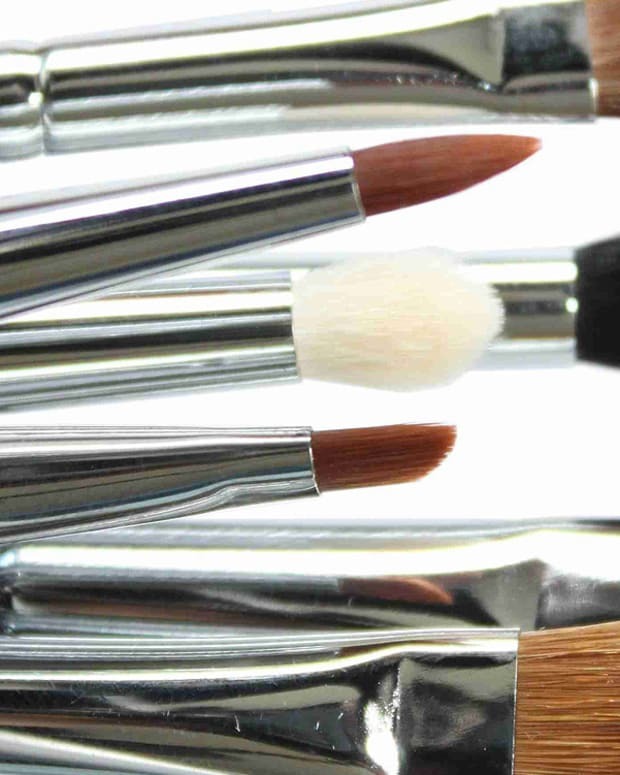 With a smaller, dry eye shadow brush, apply the dark shade (bottom right) to the bare bit of lid at the outer corners. With a clean brush, blend the two shades together in a horizontal movement, extending the shadow just past the edge of the outer corners. For more drama, use the second brush and the darkest shade again to apply a light stroke of shadow a little less than halfway along the lower lid from the outer corner in. "Stop just before the middle of the eyes." Leave the inner corners of your eyes alone -- do not dot the lightest shade there. "It&apos;ll undo all the work you&apos;ve just done," says Julie. One more tip: the best shadows for a wet or dry application are baked, like Chanel Les 4 Ombres, Sephora Collection Baked Eyeshadow, and MAC Mineralize Eye Shadow x 4. Okay, one more tip: celebrity artist Chase Aston gave me this excellent trick for dampening your brush just enough so you don&apos;t soak your eye shadow.